Sheffield City Council are launching a cross-party mindfulness group for councillors which they hope will help them to “disagree better” and make better decisions. The project is being lead by Councillor Michelle Cook, Broomhill and Sharrow Vale ward, with the help of the Sheffield Mindfulness Community. Coun Cook said the sessions will involve exercises including meditation and breathing techniques which she hopes will help her fellow elected representatives to be more calm in their daily work. She said: “It’s essential that we do whatever we can to make the best decisions possible and if mindfulness is a way to calm things down and finding ways of communicating better then it can only help us to do the jobs we are elected to do. 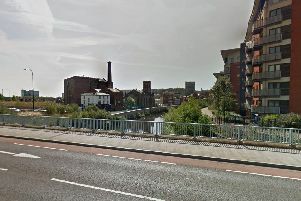 “I’m determined that Sheffield takes the lead on this and encourage cross-party elective representatives to at least try mindfulness and see if it will work for them. “There is lots of evidence to suggest that it does reduce stress and enhance mood and I’ve never heard it be a bad thing. We do exist in an atmosphere of conflict most of the time, that is the nature of politics, so I think it will be a force for good. “We also want to make it fun. We do enough dry things - stuck in offices and meetings – so the sessions should be very enjoyable. Coun Cook said they are hoping to start taster sessions before Christmas and said, as far as anyone knows, Sheffield City Council will be the first to have a mindful group for councillors. At the briefing for the group, Jamie Bristow, director of the Mindfulness Initiative, explained some of the scientific benefits to meditation. He was instrumental in producing the seminal Mindful Nation report - which was presented to the Mindfulness All-Party Parliamentary Group – that looked at how mindfulness could be incorporated into services and public policy. He was also a key part of a project that taught members of Parliament mindfulness techniques. Mr Bristow said: “Those of us who are more mindful tend to pay attention to the present moment and what’s going on in our hearts and minds, tend to be better decision makers, have more satisfying relationships and be more resilient to psychological stress. Studies have also shown mindfulness can help to reduce stress, anxiety and addictive behaviours and is recommended as a treatment for depression by the National Institute for Health and Clinical Excellence (NICE). Coun Jack Scott, cabinet member for transport and development, said he was keen to do more of the exercises and added: “I find exercises like this really good and there have been times when I wish I could do more and have not had enough time.